Some mums can’t wait to leave hospital with their newborns, while others are more than a little hesitant (no more midwives – eeks!). Whichever you are, your first night at home with your bundle of love is one to remember. Personally, I couldn’t wait to break free of the hospital and start our family life at home, but I do remember feeling overwhelmed, scared and emotionally fragile that first night. I was exhausted, hormonal and also feeling completely out of my depth in caring for my new milk junkie. If you’re pregnant now, here are some things I’d like you to remember to do on your baby’s first night home. These simple things will help to make it memorable, for all the right reasons. As soon as you can after getting home, indulge in a lovely long shower. There’s simply no greater feeling in the world than the warm trickle of water on your poor, tired, post-birth body. That first shower at home will also wash away the hospital smell and help you to mentally transition to being at home. Take it when your new baby is happily dozing in the arms of his daddy. You’ll want to savour it! You’ll no doubt be exhausted from birth and hospital and your hungry newborn might want to feed every two to three hours overnight. This means you’ll need a nap STAT when you get home. 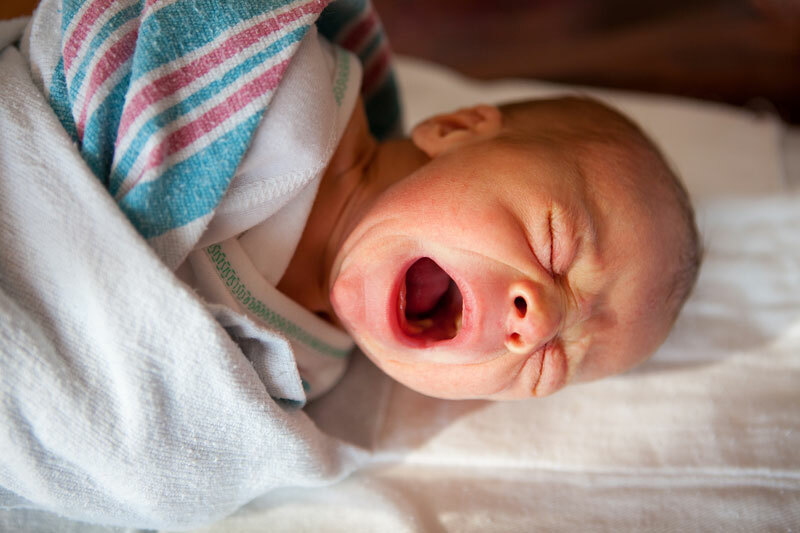 While your baby’s cries may cut this short, even a little zzz’s will help you to cope. Tell your partner he’s on baby minding duty and grab some shut eye – while you can. No tired new mum should be cooking on her first night at home. That’s just a big no-no. If your partner can do this then great, but chances are he’ll also appreciate not having to. If you already know some home-cooked meals will be coming your way from others, see if your partner can tee up having one of these popped into your fridge before you get home. Dinner that’s cooked by someone else is nourishing on a whole other level. Ask your mum or a good friend to stock your home with some essentials before you get home. You don’t want to find you can’t make a cuppa at the 5am feed because you’re out of milk, or that you need to send your partner to Coles with a shopping list before he goes to bed. I don’t know about you, but I always feel better about everything if my home is a lovely place to be in. Walking through the door with your new baby to a mess, is likely to throw you into a spin. Ask your partner to give it a little once over before you get home, or if he hasn’t left you and your new baby’s side (bless) then perhaps he can arrange for someone else to. Having a bed that’s made will put a smile on your face when you finally crash into it. You don’t want to send your partner to the all-night chemist in a panic because you didn’t buy baby wipes. If you don’t know what you’ll need supply-wise for your baby, check out this handy list – and then stock your baby’s room before he arrives! Also, don’t forget to buy maternity pads and breast pads (if breastfeeding) for you. The first night as a new mum on your own can be scary. While your partner may be a wonderful support, he may also be feeling overwhelmed and under-confident. Ask a good friend who is already a mum, if she minds being on call for that first night. Sometimes a simple, “Oh, that’s normal” is all you need to hear. Even if you don’t pick up the phone and call her at 3am, you’ll know she’s there for you. Your baby’s first night at home is so very special. Indulge in all that beautiful baby gazing, not that you or your partner will be able to help yourselves! After all, your little marvel is home now and they’ll be the most beautiful thing you’ve ever seen. 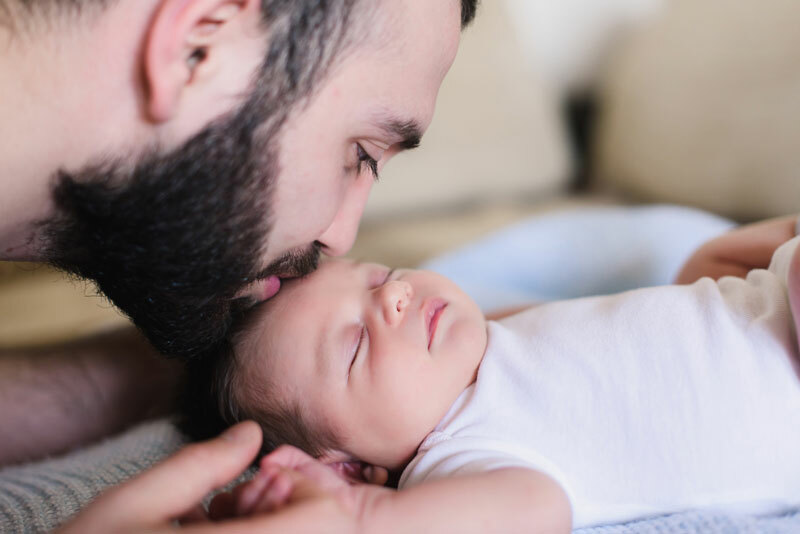 Although you’ll likely max out your phone’s storage with pics of your baby in his teeny-tiny bed, ask your partner to snap some of you tending to your baby as well. You’ll cherish these photos when you look back at newby mum you. Also, while you might feel a little at sea on that first night, these photos will prove to you that you’ve got this. You’re doing it. Just look at your baby who feels happiest in your arms.